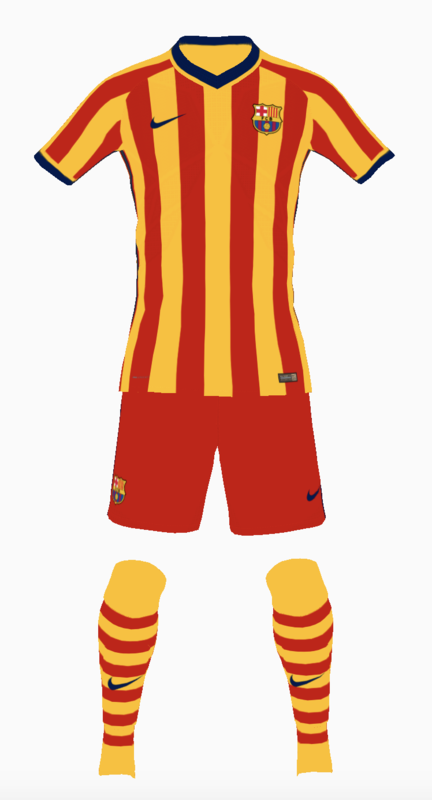 I've been playing around with the PES kit creator and thought I'd share some of the designs that I'd like to see teams wearing next season. If there is a team you'd like me to come up with a design for, feel free to make a request. I'll start off with my favourite team: Bayern Munich. 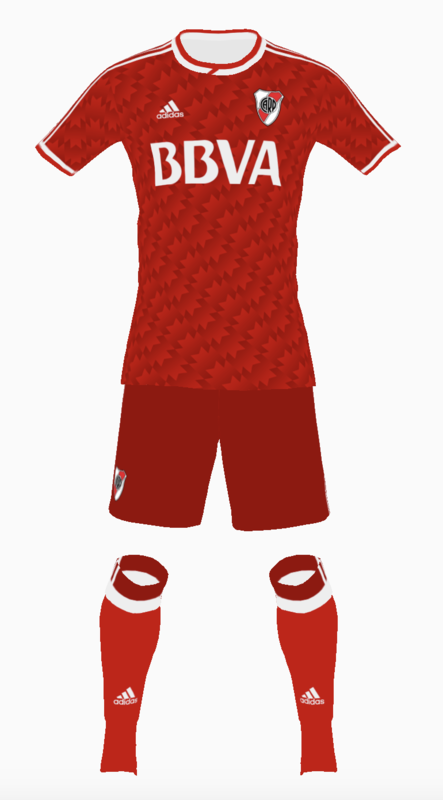 For the home kit, I wanted to go with a classic feel, I was mostly inspired by their red and white striped kit from 2010, which was a throwback to the early 1970's. 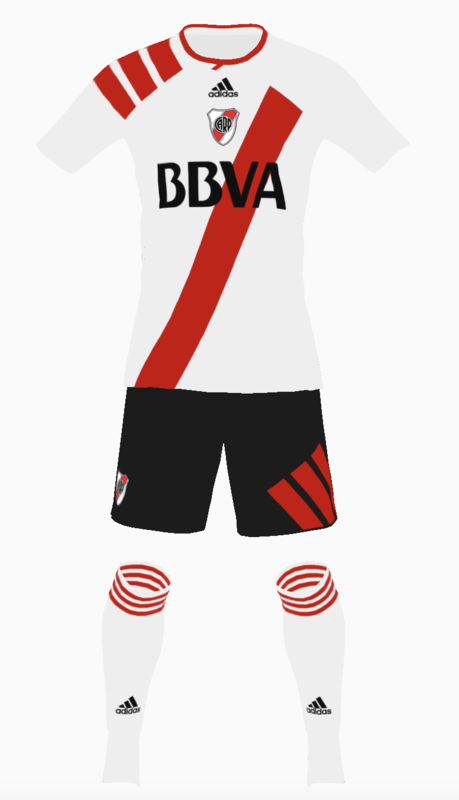 For the away, I wanted a classy looking white and red kit. I added the checker pattern as an homage to Bavaria. And with the third, I went with an intimidating black and red look. 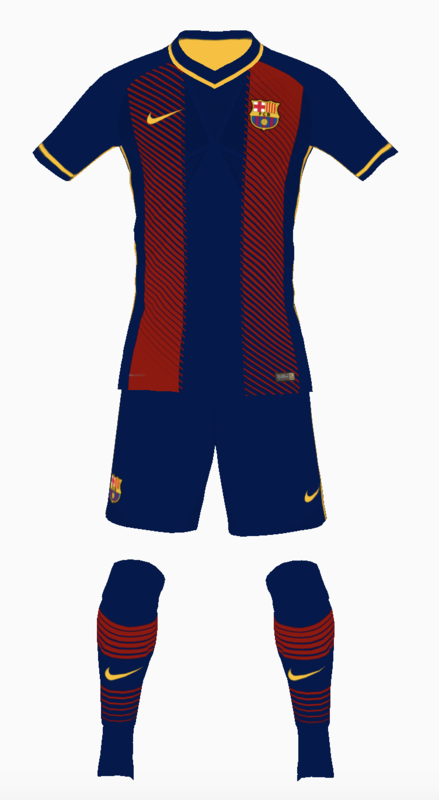 With the option for white shorts and/or socks in case of a kit clash. Moving on to another Bundesliga team, and Bayern's biggest rival in recent years, Borussia Dortmund. First- your presentation is grea. 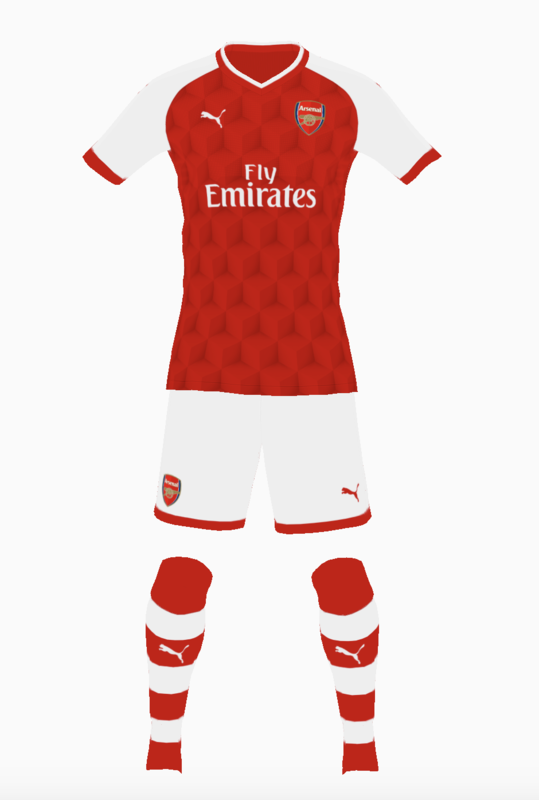 Awesome template, looks like someone is actually wearing the kits. 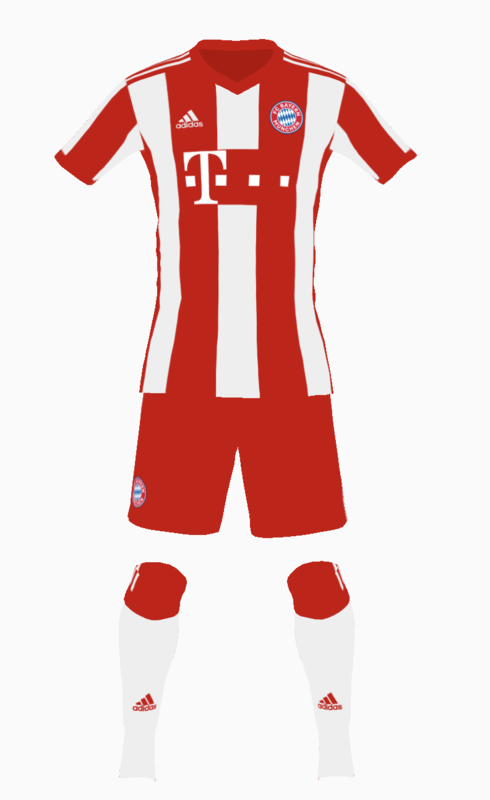 im not a fan of striped bayern in general. but the white and the black ones are just awesome. Great work here. 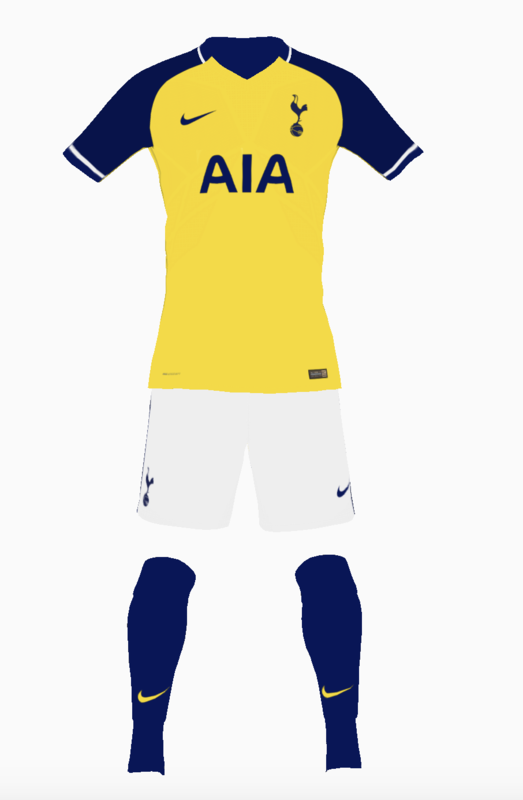 Not a fan of the dortmund gradient but if you use a similar style to what you did with the black and red, basically a pattern that gets bigger to one end and smaller to the other, it might look gradient from a distance but up close itd be awesome. I just dont like gradients if they are used in a big amount, and unless they are white to grey, grey to black, white to black, they usually just dont look good. Keep your designs but try to add a touch of a pattern instead of that gradient. Great start though. 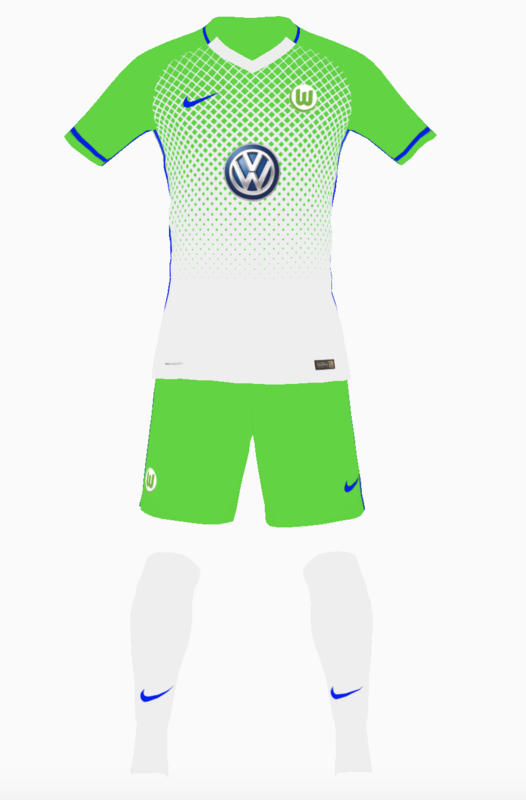 Their main kit I came up with is heavily inspired by the kit they wear currently, but I chose a more vibrant lime green colour, and made blue a bit more prominent. Funny you just posted this but its exactly the idea i had for dortmund, a pattern that makes the gradient, not just a straight fade. Thanks for the feedback. I see what you're saying. 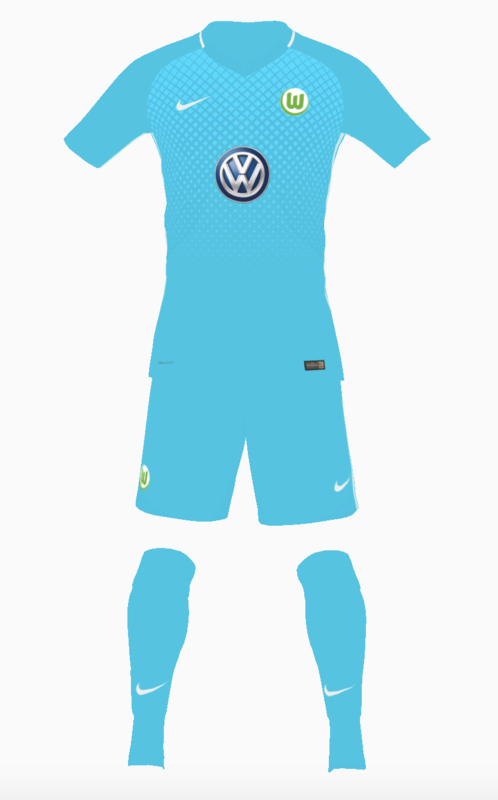 I'll play around with Dortmund and see if I can come up with something along the lines of what you're talking about. 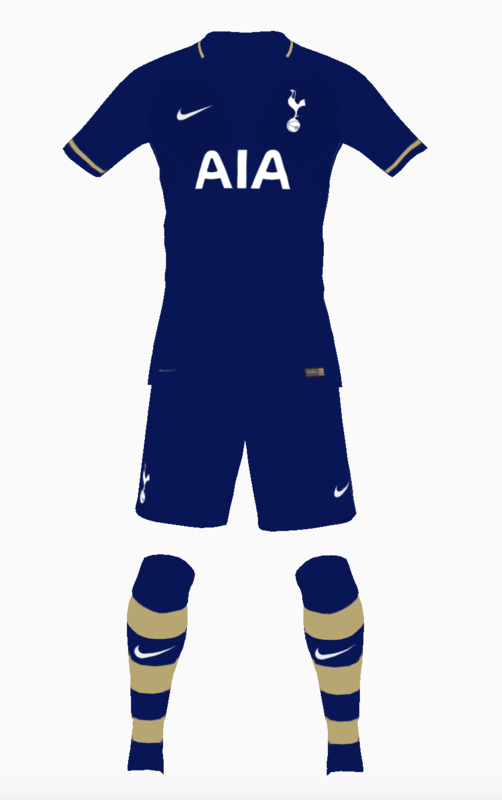 I'll do a Tottenham design next. Flyersfan requested Tottenham, here it is! Home. I wanted to use lots of gold but avoid making it look too gaudy, I really like how this turned out. 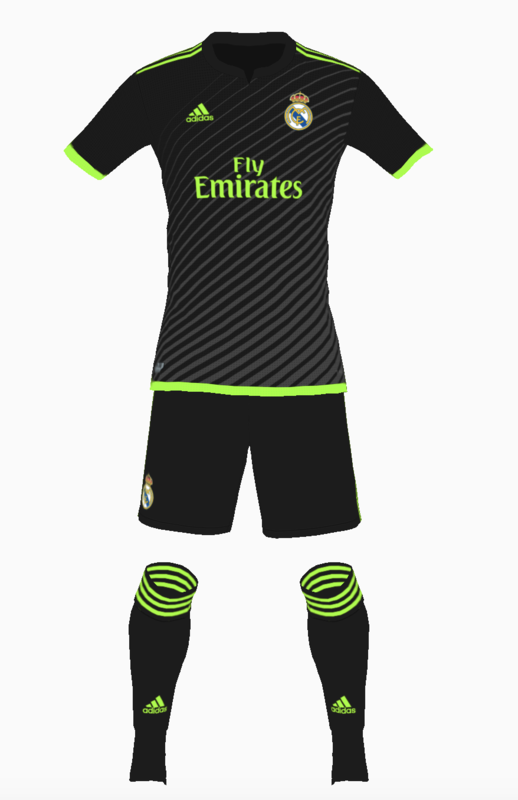 Next up, I wanted to do some kits for Real Madrid. 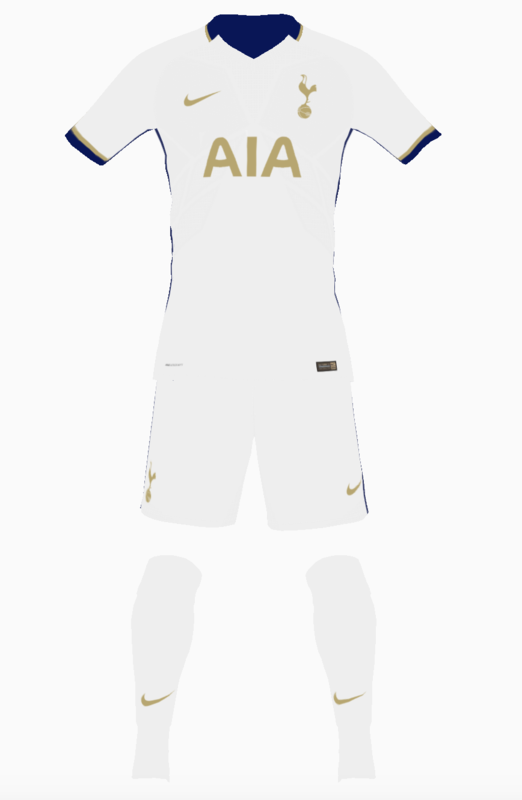 For the home, I really like when they use purple so I made a classy looking white and purple kit. 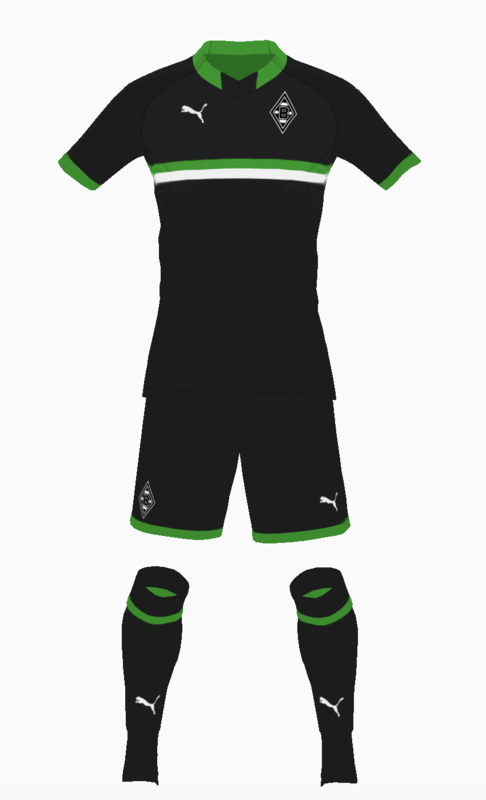 For the away, I wanted a more modern look so I used black and fluorescent green. 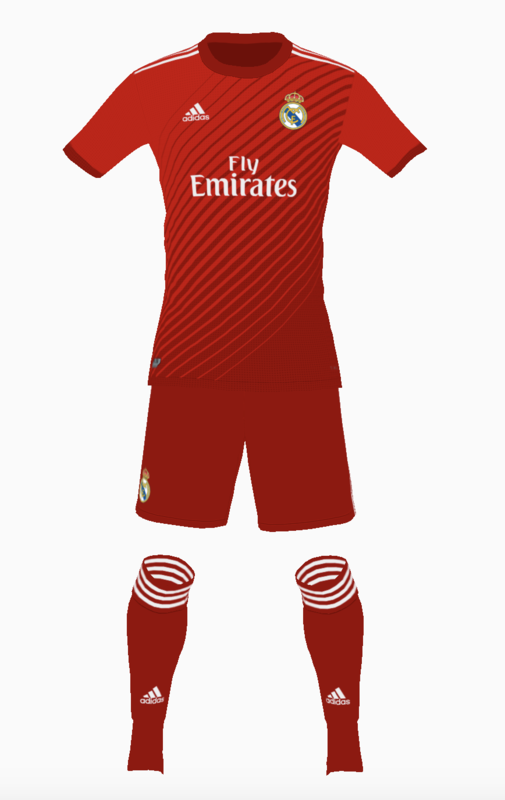 And for their third, I've seen some rumours suggesting that next year Real Madrid will be wearing a red third kit. I know the last time they did this, many fans were not happy with it but I think it was a good look in 2011-12 and it could be a good look again. 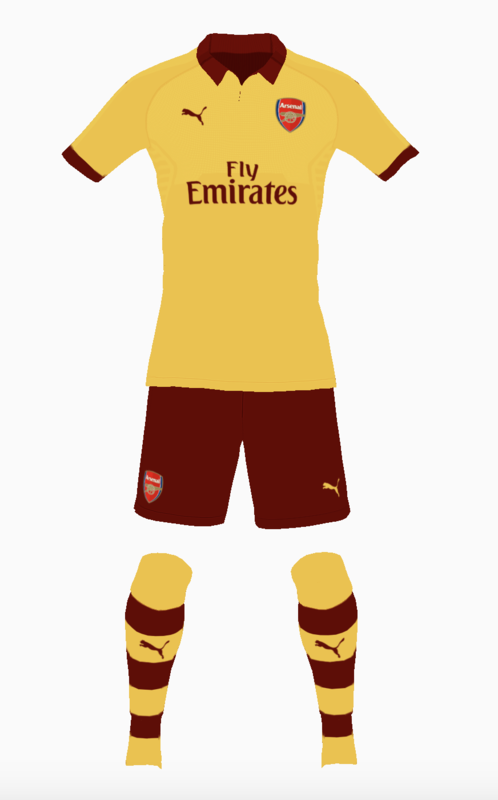 I used a very similar design as the away kit, but went with a two-tone look for the whole thing. Wow, this is really a truly spectacular design! Absolute WELTKLASSE !!! It works great with their stadium light system/pattern, the Bavarian pattern is included too! Glad you like it! I'm really happy with how it turned out. Didn't even think about it matching with the lighting of the Allianz Arena, but you're 100% right. Next up: Arsenal. 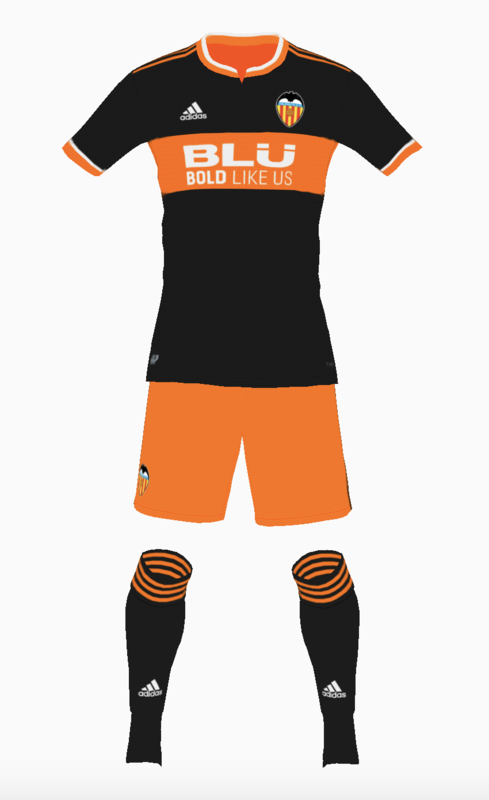 I was heavily inspired by their 2012-13 look for the away and third. 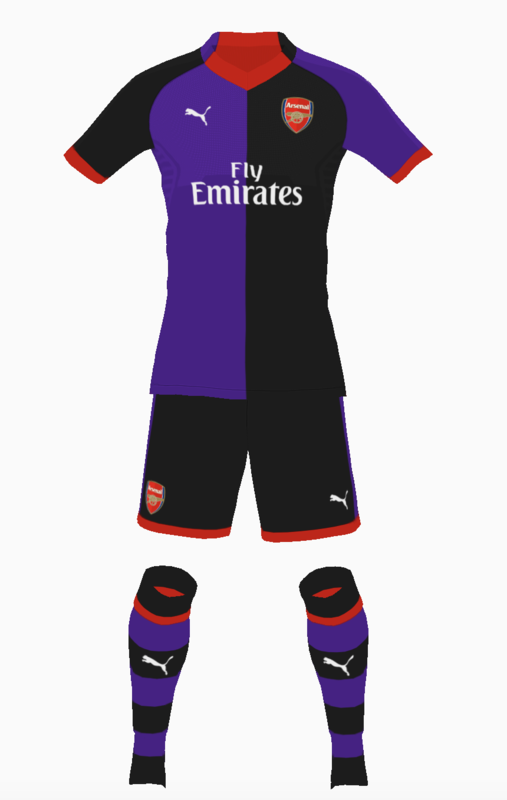 Their purple and black kit from that season is one of my favourite all time. 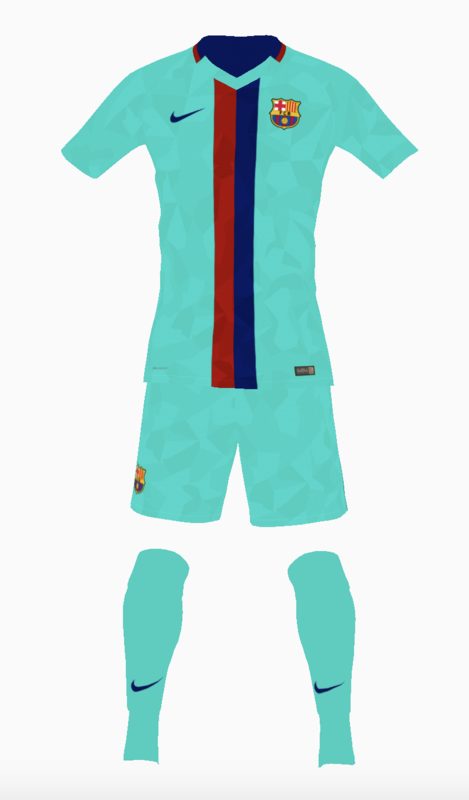 Next I did some kits for Barcelona. 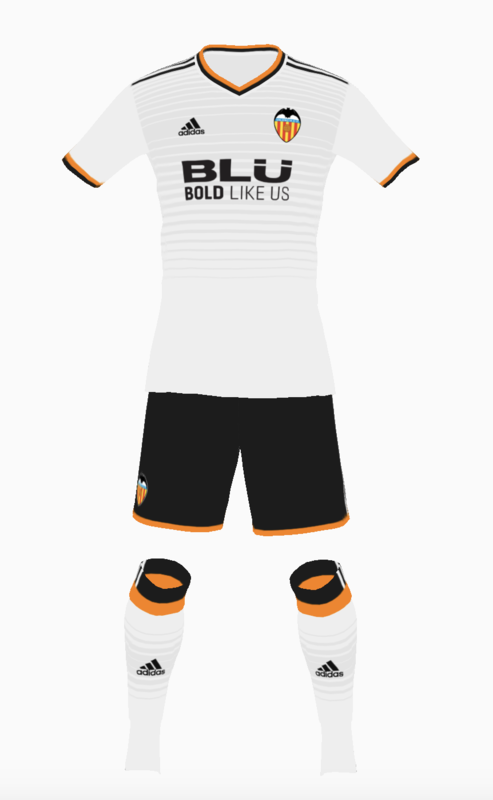 Next I did up some kits for Valencia CF as I think they have a really nice colour scheme of white, black, and orange. 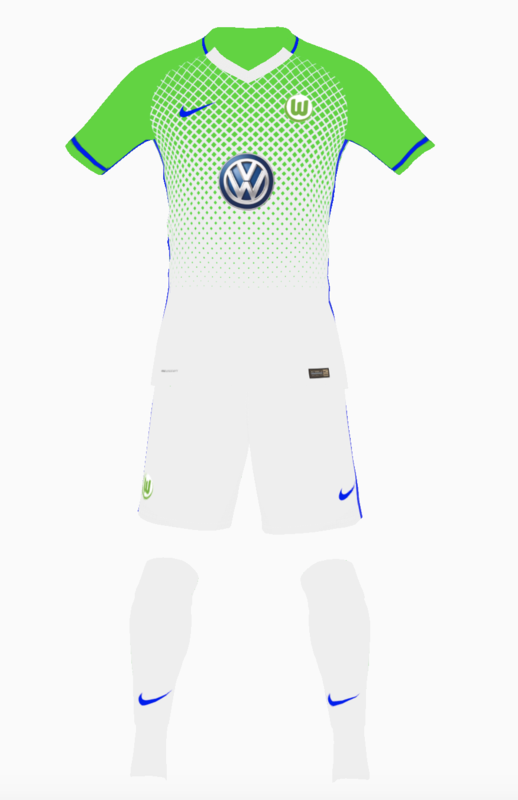 This thread is dead, there obviously isn't much interest in soccer kits on this site, but I still feel like sharing my creations, so screw it. 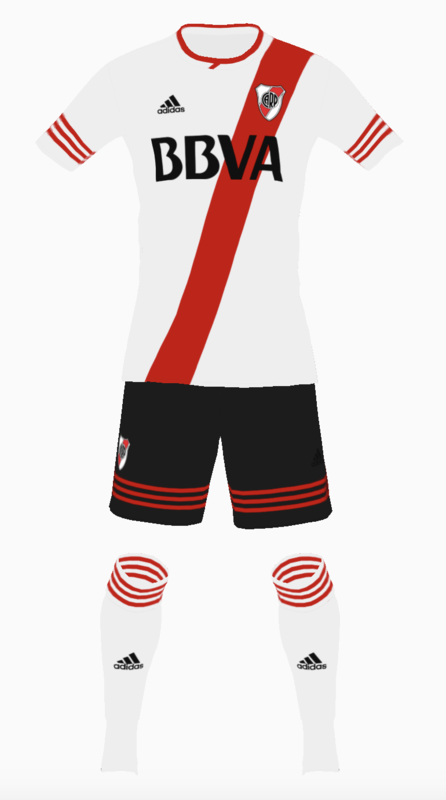 I decided to make a few kits for the Argentinian giants River Plate. 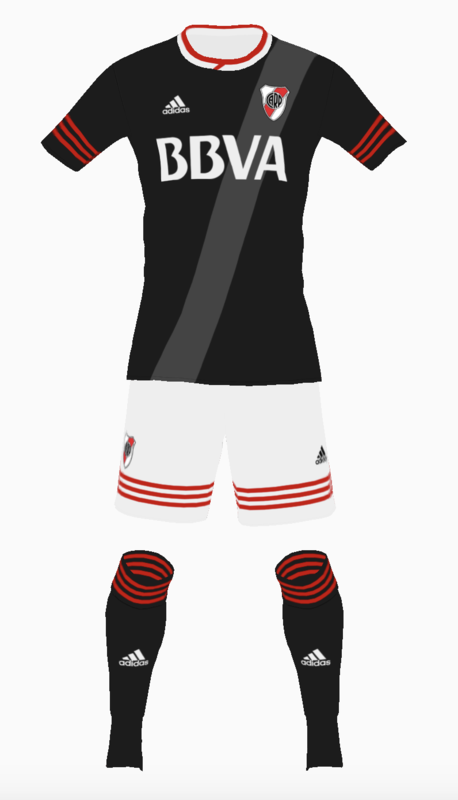 All three play off of a vintage vibe, making use of popular aspects of Adidas 90's kits. For the home I couldn't decide which template I like better so I'll just post both of my creations. 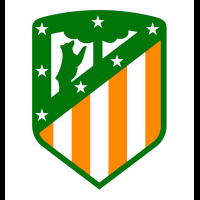 I actually really like this thread, wonder what you could do for borussia mönchengladbach or Stoke? I'll gladly do both clubs soon! Good solid concepts and very well presented. 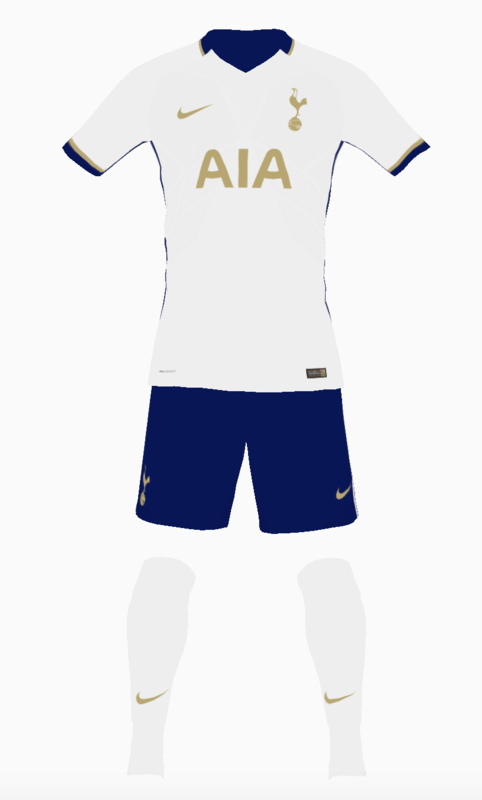 Not much to say in the way of critique but the Tottenham 3rd kit is probably my favourite. I knew exactly which kit you were basing it off before reading the text above it. I'm enjoying the series so far and looking forward to more. I was going to suggest Mönchengladbach myself, so that's a nice coincidence. 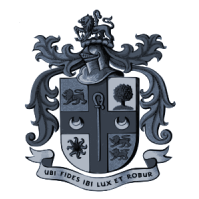 Maybe if you're looking for an obscure request then how about English 5th tier Tranmere Rovers? They're my local team and I have a season ticket. They came fairly close to promotion to the Premier League in the early 90s but are now kind of a "fallen giant" living in the shadows of nearby Liverpool and Everton. Glad you're enjoying the series. 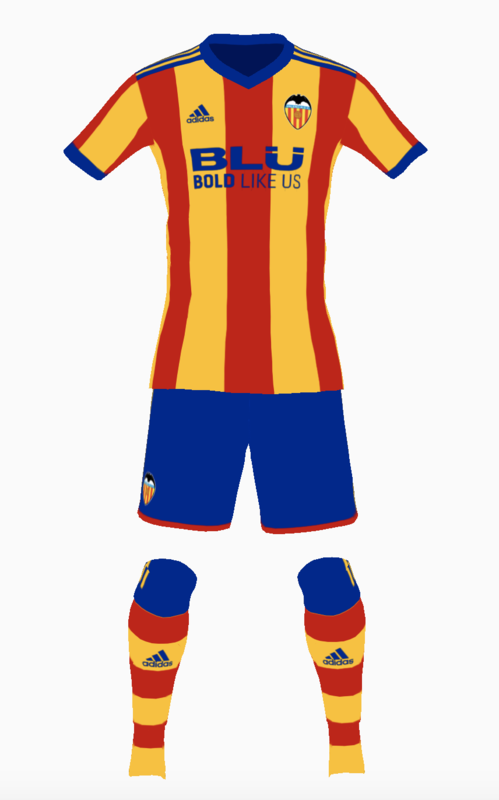 I'll definitely do up some kits for your team! 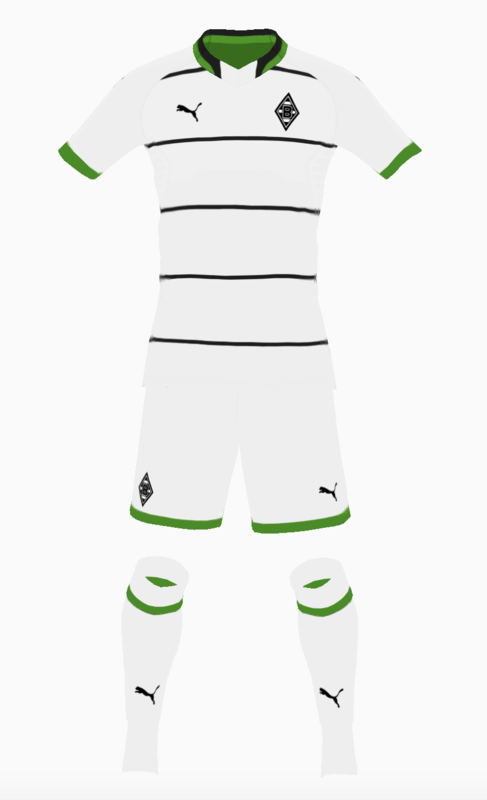 There have been a few requests for Mönchengladbach, they've always had really nice colours of white, black, and kelly green. 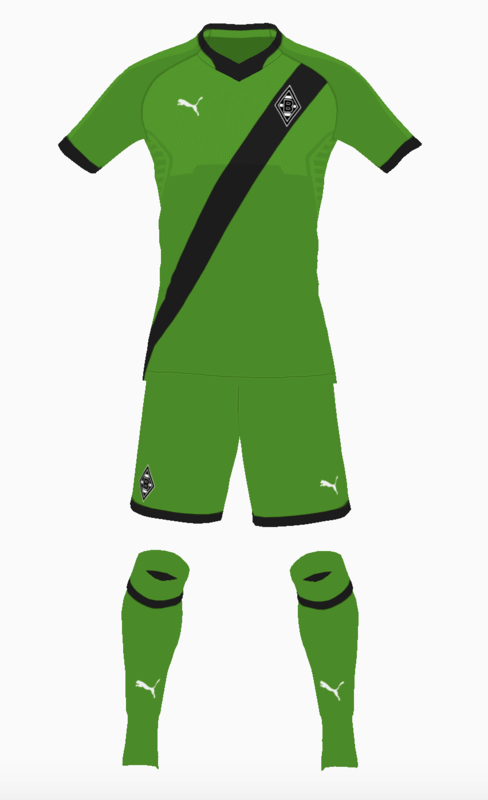 Their last few home kits from Kappa have been devoid of green though, so I thought the switch to PUMA would be a good chance to bring green back for Die Folhen.